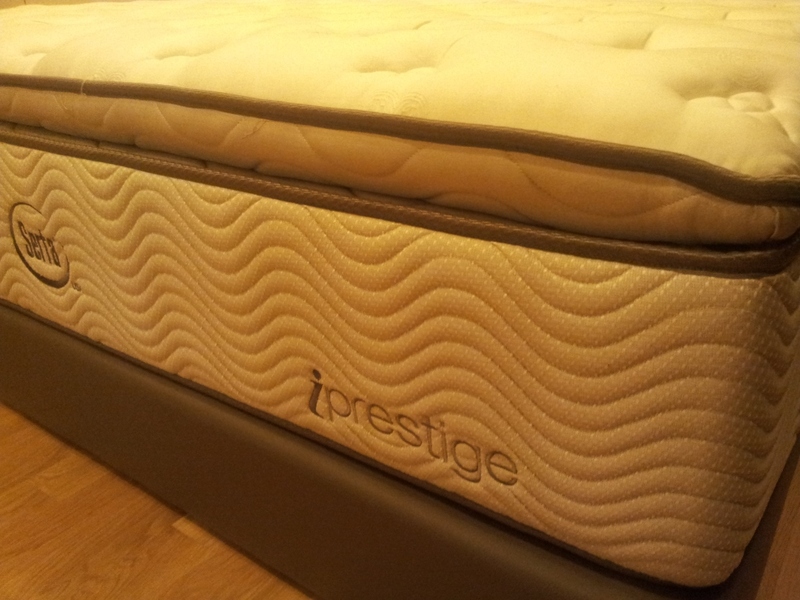 how is the condition of your Serta iprestige now? I’m still quite happy with the bed.. There’s a slight sink now but then I blame it on myself since hubs n me are tad lazy. So, we didn’t rotate the mattress for almost 1.5 years (since I got pregnant till now). LOL… not to mention, the mattress weights a LOT a LOT !!! Definitely not a job for one person to change or rotate the mattress. Thanks for dropping by my blog. Yeah, bed hunting can be tiring Especially since you are doing it for a family. It’s really very subjective and like I mention in my blog, the best way is seriously to try out the beds and sleep there (for at last 10-15mins)! Personally, I think all 3 brands are very good brand. Just that they have different technology when it comes to manufacturing the bed. I have not really tried out Sealy since my hubby got “BORED” trying out beds too. LOL. My suggestion is stick to ONE brand and one outlet… and bring your family in again test “sleep” the different range they have. Hi Chuletz, really appreciate your blog which is really helpful for us who is doing mattress hunting but too lazy to spend 1.5 days in total at all 3 showrooms haha Actually, we have decided to go with Serta since we tried it out at Harvey Norman, but the selection there is very limited, so we are thinking to go to bigger Serta showroom. Which showroom did you go? Thinking to do it once and for all. Thanks! LOL.. yeah. mattress shopping is really tiring. I went to the one in Publika. BTW, the range in Harvey Norman are Serta range for them. So, you will not see the same range in the Serta showroom. There are similar versions. I stumble across your blog when I tried finding an answer to my questions (below). I went to both Harvey Norman and Serta outlet in Section 16. The ranges in HN are of completely different names. I find the couple of mattresses I tried in HN are a lot cheaper than those in Serta outlet. Do you know if there is a one-for-match between HN range and Serta’s? Are the prices of the similar range about the same? Yes, the range between the HN and Serta are different. Those in HN are custom-made just for HN. So, the Serta outlet will not carry them. 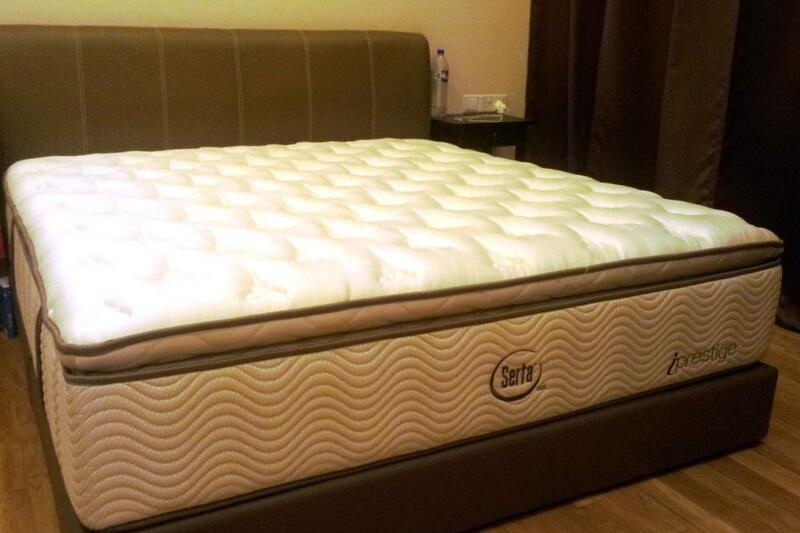 BUT, you can check with the Serta outlet for their advice if there’s a specific HN range you prefer. The most important when buying mattress is the comfort factor for you. IF you like the HN range, then, go ahead with them. 🙂 No point buying the Serta range if you don’t feel comfortable on them. Best of luck.